The Australian Livestock and Rural Transporters Association (ALRTA) has outlined the policies its members should adhere to in its National Animal Welfare Policy released today. Covering a range of topics from the behaviour of drivers and operators to the equipment used, the 13-policy document has the backing of all six of the industry body’s state organisations. 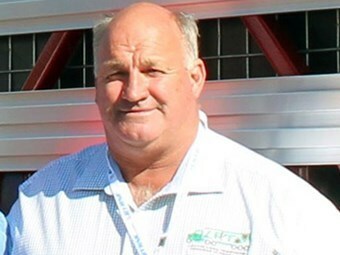 ALRTA president Kevin Keenan says it is important that all stakeholders in the livestock transport industry are aware of the agreed to policies. "Caring for live cargos is a unique part of the rural road transport task that is under constant scrutiny by markets, governments and the community," Keenan says. "The interaction of animal welfare laws, workplace safety laws and road transport laws creates complex challenges in balancing the equally important elements of driver welfare and animal welfare." To make the process easier for operators, and to reiterate to governing bodies that its members have animal welfare at the top of their agenda, Keenan says the ALRTA’s newly developed policies have been outlined in the guide. "Over the past three years, our National Animal Welfare Committee has examined our role in the supply chain and championed several important new initiatives," he says. "For example, we have published national guidelines for the safe design of ramps and forcing yards, merged TruckCare with the award winning TruckSafe accreditation system and established LivestockASSIST – a 24hr national hotline dedicated to coordinating emergency responses. "Our association now has a holistic approach to promoting positive animal welfare outcomes that commences with pre-transit livestock preparation, through loading, transport, unloading and emergency responses in the rare event that things go wrong". The Legislative Environment: Operators and drivers must be aware of all laws that apply to livestock transport and comply to the fullest extent possible. Fit to Load Guide: Operators and drivers should understand and apply the Meat and Livestock Australia publication ‘Is it fit to load? – A national guide to the selection of animals fit to transport’. Loading Ramps and Forcing Yards: Livestock facilities should be aware of and apply the ‘Guide for Safe Design of Livestock Loading Ramps and Forcing Yards’. Supporting Infrastructure: Livestock facilities should be aware of and install innovative supporting infrastructure that improves safety, animal welfare and efficiency at loading and unloading sites. Crate Design: Transport operators should use well-designed livestock crates that deliver best practice safety, welfare and efficiency. Livestock Preparation Prior to Road Transport: All parties in the livestock supply chain should strive for best practice livestock preparation and effluent control. Accreditation Systems: User of livestock transport services should prefer TruckCare accredited transport operators. Accident Response: Transport operators and drivers should be aware of livestockASSIST and display signage on their vehicles to alert other road users of the number to call in the event of an accident. Receival Arrangements: Livestock facilities should remain open until at least midnight on known receival days and ensure that there are safe facilities available for after-hours unloading. Reporting of Welfare Incidents: Operators and drivers should report any suspected illegal treatment of livestock to the appropriate authorities. Balancing Driver Fatigue and Animal Welfare: The ALRTA supports flexible fatigue laws that enable drivers to unload livestock at an appropriate destination in circumstances where unforeseen circumstances have led to a delay. Complaints Against Member Operators: The ALRTA will deal with proven animal welfare offences against members under State Association Rules. The policy, which offers explanations of each of the 13 policies, will be updated over time in order to protect animals, markets and reputations, Keenan says. "We are proud of who we are and what we do," Keenan says. The full policy document is available here.